We are a North East based company providing the best in children’s entertainment for your Christening Celebration. Working in the North East we have built up a 1st class reputation for our unique entertainment and have been lucky enough to have been invited to many christening celebration over the years. Working in : Durham, Darlington, Newcastle, Gateshead, Sunderland, Hartlepool, Middlesbrough, Northumberland and all over the North East. 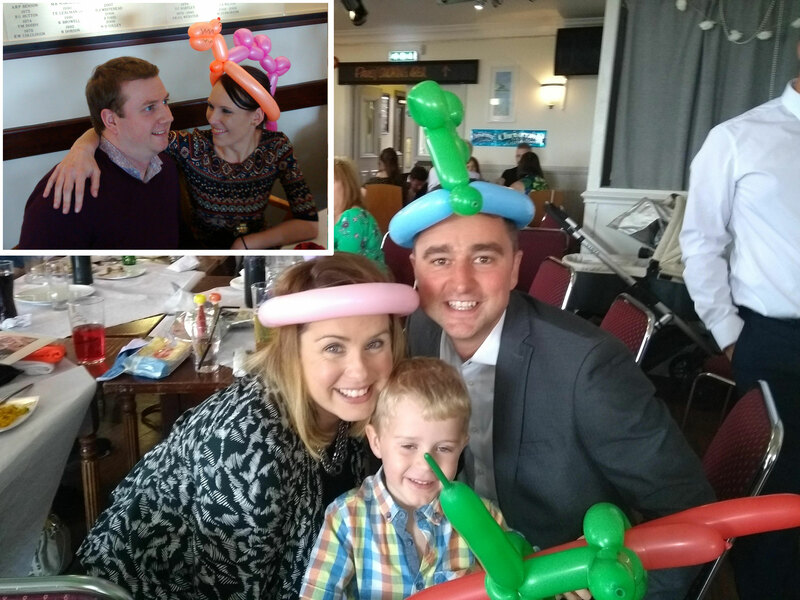 Please Note: We do involve all the family at your Christening, and the Adults are as much involved as the children. Our Entertainment is for the whole family and we welcome Adults to join in the FUN and enjoy the experience aswell. Our Entertainment has the ability to make you smile, and this has been something that we have always wanted everyone to experience at all our Christening Celebrations. We have CRB certification & are fully insured, we also have the ability to be able to provide a Risk Assessment when required. Members of NABAS – National Association of Balloon Artists and Suppliers | QBN Members | and also CERTIFIED BALLOON ARTISTS.